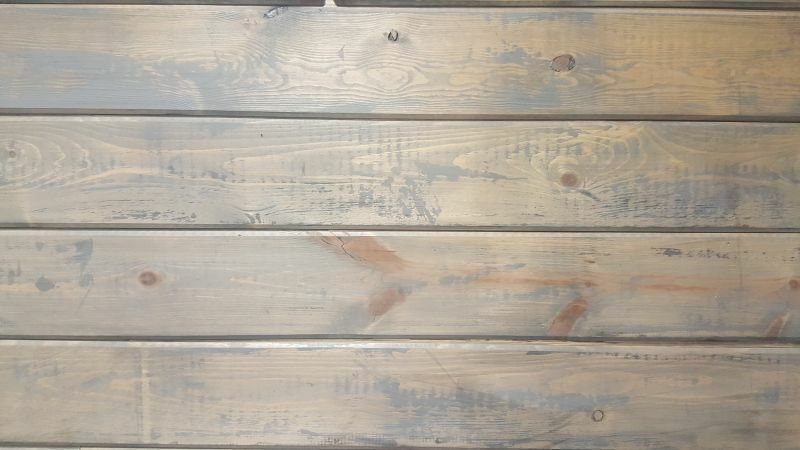 If you’re a fan of any of the dozens of home restoration television shows that crowd the airwaves these days, then you’ve probably heard of shiplap, a newly-popularized yet old-timey wooden board that can add homey, rustic charm to your interior design. But what, exactly, is shiplap? Shiplap is a type of edge-notched wooden board, usually pine, which was once commonly used for siding in rustic barns, sheds, and other outdoor buildings. The long sides of these boards are grooved so that one board can slide perfectly over the other. The grooved connection makes the siding both watertight as well as amenable to expansion and contraction, perfect for the outdoor exposure of its original use. If you live in an older farmhouse-style home, you may already have shiplap boards behind your plaster or sheetrock walls, as it was once commonly used as insulation. The current appeal of shiplap is less due to the watertight aspects and more to the unique textured look that shiplap siding offers. Unlike the paneled walls of the 1970s, shiplap tends to be mounted horizontally, uses wider boards than old paneling, gives the same flat-wall appearance but has a much more visible line between the boards themselves. The design options for shiplap are as many as your imagination can conjure. Whether you choose to mount recovered shiplap barn boards to the walls of your family room, or side your kitchen in white-painted shiplap, wooden walls add warmth and rusticity and the visible texture adds real character to your design. A shiplap ceiling painted in a glossy white can reflect light throughout a large room. Shiplap can also be used with modern decor. Judicious application of this siding material can soften and warm up what are often the colder aspects of some modern rooms, such as quartz counter tops, concrete walls, and gray-toned tiles. Rustic boards mounted above a fireplace add a comforting focal point to any room. Because shiplap is just a kind of board, their use is not confined to walls and ceilings. They can be used to add complimentary features to the room, such as pine shelving, window awnings, and picture frames. If you’re considering a major renovation or re-design and like the warm, rustic look or wall-texture options that shiplap offers, talk to one of our designers about how you can incorporate this trending new aesthetic option into your remodeling plans.